Net-to-Net, Inc - Website & Internet Services - USJapanBaseball.com Goes Live! N2N is proud to announce that they have launched usjapanbaseball.com in conjunction with the U.S.-Japan Baseball foundation. U.S. – Japan Baseball facilitates the exchange of youth baseball players from the Washington D.C. area, with players from the Tokyo and the surrounding metropolitan area. The first phase of the program will feature travel of the Washington D.C. area players to Japan, where they will practice, play and otherwise interact with the Japanese players, while in the second phase, the Japanese players will travel to the Washington D.C. area. 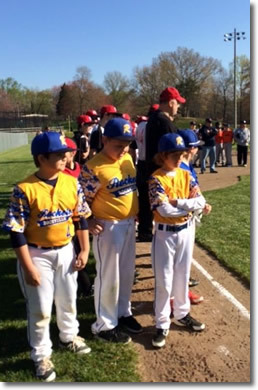 The Washington D.C. players will consist of select baseball players from the Washington D.C. area. The Japanese players will consist of select players from the Tokyo and the surrounding metropolitan area. To Play: Players will practice and play with peers from Japan and the United States. They will learn unforgettable lessons about the style of play and philosophies used by other players from both countries, receive coaching from Japan and the United States, and will be challenged as players to reach beyond their normal comfort zone and push themselves to strive for excellence in all facets of the game. To Grow: To participate, players must commit to complete approximately ten hours of instruction regarding the language and culture from the country of their peer players. They will also be required to complete a service project with their peer players while in Japan and the United States, respectively. Through this experience, they will grow as players and young as people by learning to set goals, working to achieve them, and having a great time in the process! To Live: Players will also be paired together and be able to stay in the home of their peer players for a portion of their trip. In doing this, players will be able to experience life most vividly through the eyes of their peer players. There will also be significant opportunities for players to sight see and otherwise experience the culture of their peer players while traveling abroad. In sum, participating players will have an experience through which they will play, grow and live in ways that will create unforgettable memories and lasting friendships with their peers from Japan and the United States.